Why use Video Brochure and Boxes for your sales promotions? Video Plus Print merges the best of online & offline marketing strategies into one single device. As marketers, we know the highest ROI in the digital world is achieved with video based promotions. 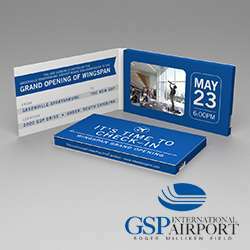 In the print world, the highest ROI is achieved with direct mail. With VPP your campaign is power packed with both and more! Best of Offline: Targeted, undivided viewership, touch and feel advantage, personalization, reusable. How does Video Plus Print achieve success for you? 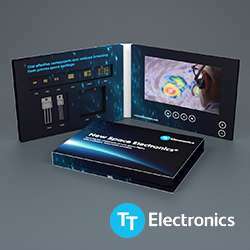 Having a video screen embedded in a printed device, with interactive buttons, play on demand, rechargeable battery, personalization through variable print or video…it almost always reaches the decision makers desk because it is such a unique personalized concept. Whether it is a product launch, VIP invite, introducing a new service, corporate brochure, giving a corporate gift or re-connect with your prospects that are now affected by GDPR regulations, we have tools to assist you in all situations. We offer innovative video marketing concepts in the form of video brochures, video business cards, video books, video shelf talkers, video folders, video presentation boxes, video magazine inserts, phone in print, Wi-Fi in print and more. We are global leaders in designing and manufacturing the most creative and innovative direct video marketing products. By embedding video in print collaterals, we ensure that your audience remains fully engaged and you get the highest return on investments. Collaboration leads to new ideas. Success depends on more than just a great product or service. Your branding is your core. It is your first impression to your clients and customers. It's going to be what people associate with your business. Why skimp on that? We will work with you to help you build trust and loyalty with your customers. Customer engagement is all about creating a bond between a brand and its audience, and Video Plus Print offers a plethora of multi-sensory products ranging from video brochures with Wi-Fi, multipage video books, video mailers, promotion video cards, video business cards, LCD greeting cards, TV in a Card to video shelf talkers and so much more to influence business in your direction. Video Plus Print's true strength and value it offers to global clients are Integrity, Innovation, Consistency, Round the Clock service and its ability to manufacture all technologies in-house. We have a team of graphic designers, video animators, a R&D team, engineers and strict quality controllers that empowers us to offer the highest quality products, latest inventions, and great quality at a competitive price range. 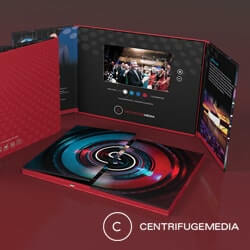 We work with you to tranform your promotional print materials into power packed multi-sensory video marketing products. It could be anything from Video Business cards, Video Brochures, Video Folders, Video Boxes and Packs, Point of Sale units... almost anything. Our solutions are customizable and suitable for all budgets. The "Video Marketing" products bandwagon is going places; and it's your chance to get on it early and rake in the profits. When you are planning a new promotional campaign and need to make an impact from day one. Call us! We can recommend different options for different campaign ideas. Finalise strategies, target customer lists, budgets, schedules along with company videos, print design files and video marketing product concept ideas. Concept approved, we create a full scale prototype sample adding interactive digital components embedded into your new printed collaterals for your approval. Sample approved, we go into top gear production, using high quality electronics and rigorous quality checks to deliver your consignment globally on time . © 2009-2017; Video Plus Print: All images and Videos are subject to copyrights.